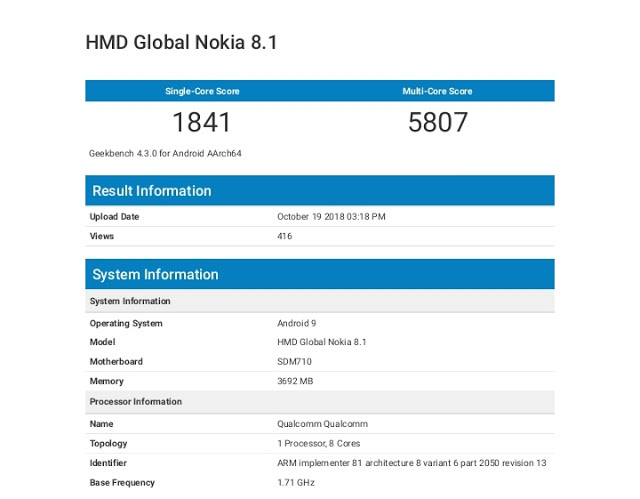 Home / Hmd / LEAKS / UPCOMING / Nokia 8.1 specifications spotted at Geekbench;Launching soon? Nokia 8.1 specifications spotted at Geekbench;Launching soon? 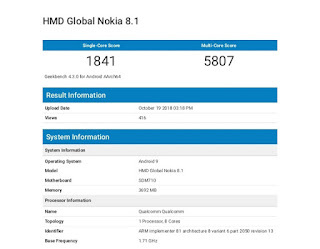 HMD has recently launched Nokia 3.1 plus about one week ago.Now another handset with name Nokia 8.1 which should upgraded Nokia 8,has been visited at Geekbench.It indicates HMD plans to enlarge their portfolio with new and updated smartphone.Let us have a look at Nokia 8.1 Geekbench details. 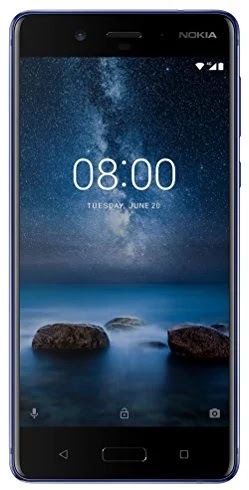 Though Geekbench has no revealed it's full specifications of Nokia 8.1 but it gives some of its key features.It includes 1.71 GHz Qualcomm Snapdragon 710 processor with 4GB RAM.Surprisingly,the hardware is mated with Android 9 Pie.The Nokia 8.1 has achieved a score of 1841 on single core test and 5807 on multi core tests with aforementioned specifications. 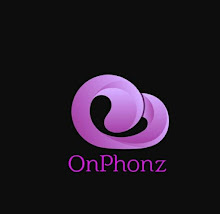 If Nokia 8.1 will launch soon with these features,then Nokia 8.1 will be the first Android 9 Pie smartphone from HMD.However,the company had unveiled that Nokia 6.1 and Nokia 6.1 plus would receive Android P soon and Nokia 8 and Nokia 7.1 will get Android P later.